DENTISTRY that will make your family SMILE! Welcome to the office of Dr. Senia Bobanovic! Our office provides the latest in comprehensive dental services, techniques and technology to keep your family’s smile healthy, bright and beautiful. 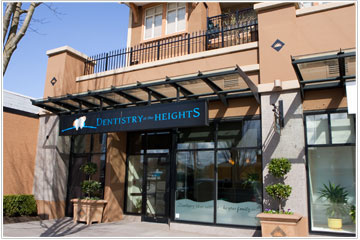 If you have any questions, feel free to call our office at 604-299-1099 or e-mail info@heightsdentistry.ca We look forward to serving the dental needs of your family. "The minute you walk through the door, you will know you’ve come to the right place." Dr. Bobanovic would like to welcome you to a fantastic dental experience. By combining advanced dental technology with a gentle, friendly style, Dr. Bobanovic and her team will make you and your family more comfortable than you ever thought possible. The minute you walk through the door, you will know you’ve come to the right place. Here at Dentistry at the Heights, we treat you like family. That's why we take pride in serving yours. A family friendly atmosphere and the care that you expect from your own family, we welcome you to our home. Botox is the #1 non-surgical cosmetic procedure in North America. Whether you require therapeutic Botox for TMJ related disorders or cosmetic Botox, Dentistry at the Heights can provide you with the information and treatment you require.